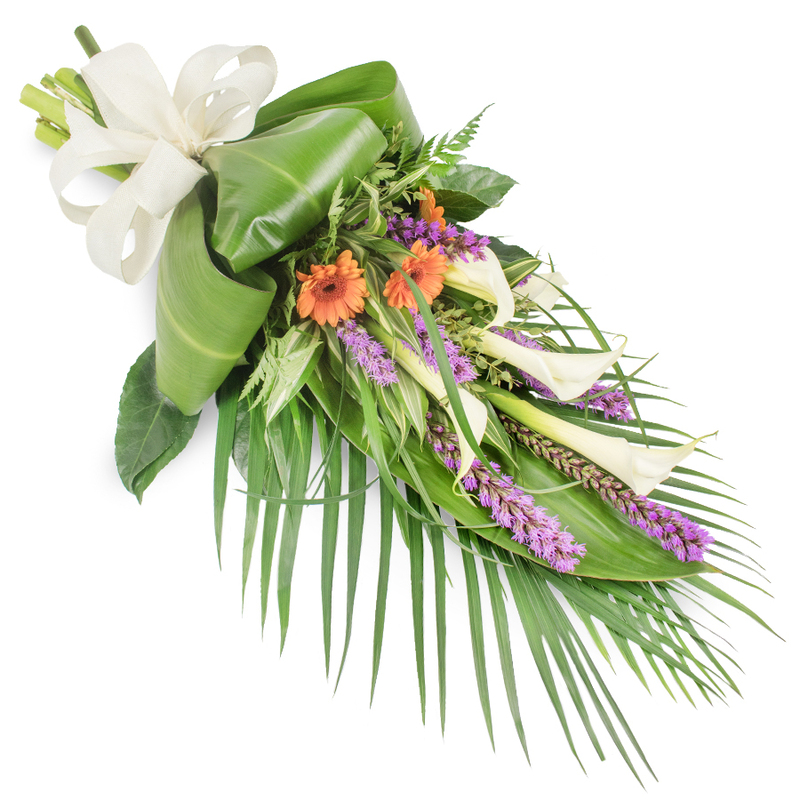 This pretty combination of calla lilies, orange germinis, liatris spicata and greenery is a lovely spray to send in honour of a loved one. 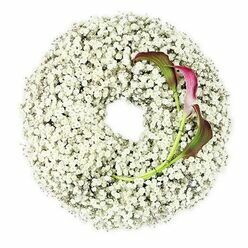 It is a symbol of sincere condolences and compassion. 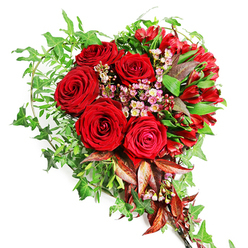 I just want to say thank you for the nice flowers. They are deeply appreciated! Lovely spray. The courier came yesterday and delivered the flowers to my door. It is a very convenient service. I'm impressed with their way of operating. 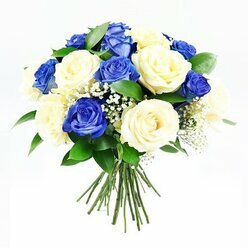 They were kind on the phone, ask the right questions and provided high quality flowers. 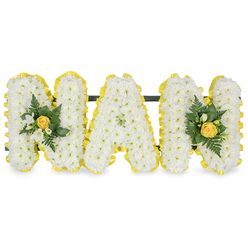 The best local florist I've used recently. Ordered the spray yesterday. It was delivered this morning before 10AM as I requested. Very prompt service. I was a little bit nervous the first time I ordered flowers from them as I didn't know what to expect. 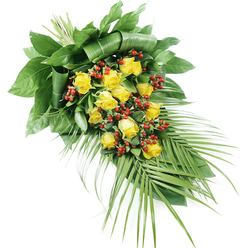 However, Handy Flowers team proved to be real professionals when it comes to funeral flower arrangements. The flowers were fresh and arranged in an elegant way. 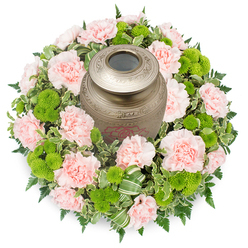 Easy online ordering of funeral flowers. They were delivered on time and looked fabulous.